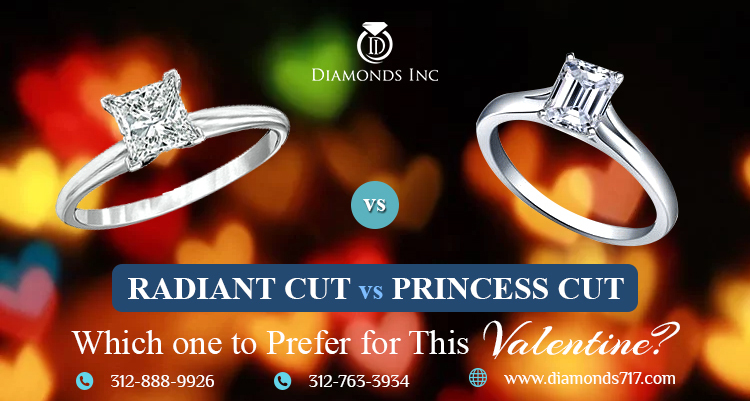 Radiant Cut vs Princess Cut Diamonds – Which one to Prefer for This Valentine? 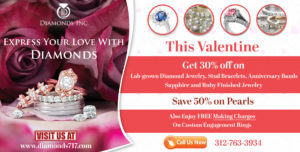 Diamonds are the most surprising and impressive gift for Valentine. Are you planning for the same? Every diamond has its own story to share and so is the radiant cut diamond and the princess cut diamond. Similarly, every lady has her own style or own choice for a diamond to wear. When it comes to these two specific diamonds, it really becomes hard for the buyer to decide which one to prefer the most, especially when it is all about Valentine. Both radiant cut diamonds and princess cut diamonds have their own unique preferences and potential to drag the attraction of others. 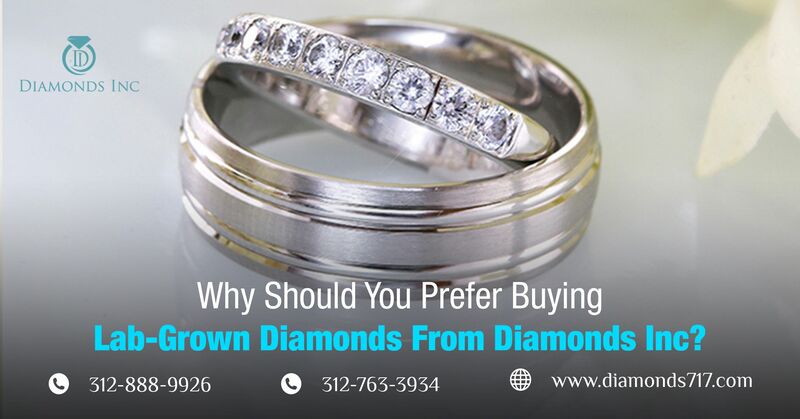 Are you residing in such a perplex situation while purchasing diamonds from Chicago? Both the princess and radiant cut diamonds look awesome when you customize them for a solitaire diamond engagement rings. There are many who even say these two are very much alike and can be used as an alternative for each other. 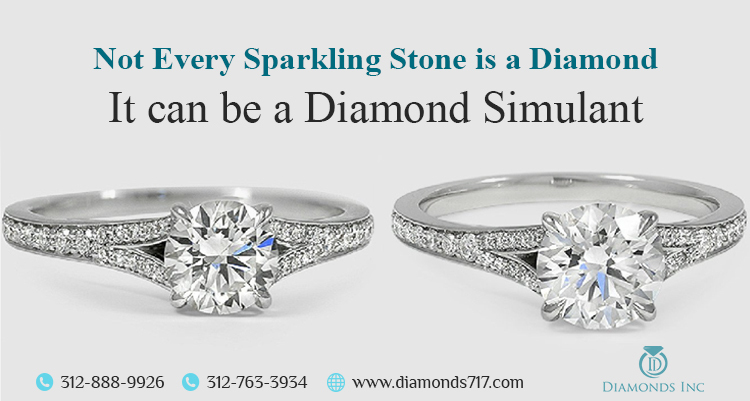 But at least to use them as an alternative you should know the basic similarities and dissimilarities, before purchasing your diamond solitaire ring or wedding ring from Chicago. Let us have a look at the insight. Radiant cut diamonds can be defined as the square or rectangular shaped diamonds featured with truncated or trimmed corners. They are not less than the round brilliant cut diamonds and so are often classified under the category of brilliant cuts that are designed in a way to enhance the brilliance of a diamond. 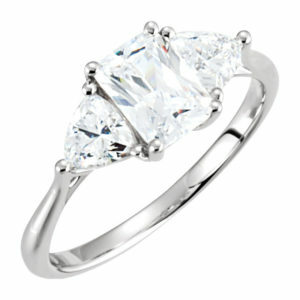 If you look at them thoroughly, radiant cut diamonds have features of both round brilliant cuts and step emerald cuts. Are you interested to know more about its grading and features? You can simply go through our blog that speaks about different aspects that one needs to know before purchasing a radiant cut diamond ornament. What are Princess cut diamonds? 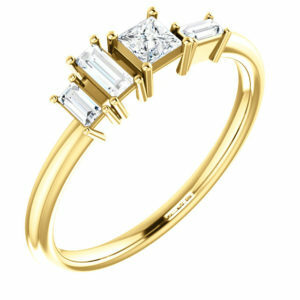 Princess cut diamonds are somewhat similar like radiant cut diamonds. They appear rectangular or square shape but featured with the sharp, uncut edges, offering a more geometric look than the radiant cuts. Due to its featured shape, this particular diamond is also known as quadrillion cut diamond. Brilliance and sparkle both depend on the cut or the shape of the diamonds. In terms of brilliance and sparkle, diamonds can be easily differentiated. However, this is not the case with these two particular diamonds. As they are similar to a great extent, it is hard to define which diamond cut possess more brilliance. But if you talk about the type of brilliance and sparkle, yes, there lies some definite difference. 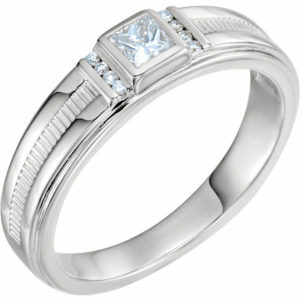 Princess cut diamonds are featured with regular, linear, and organized facets. Hence, they tend to reflect light in a more clear and orderly fashion. Radiant cut diamonds, in contrast, offer a more fiery texture and more sparkle, owing to the way their facets are aligned. Thus, it can be concluded that princess cut diamonds reflect light in a more organized pattern, while the radiant cuts exhibit in a more haphazard way. 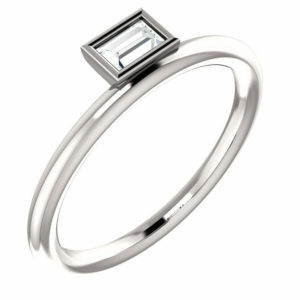 Princess cut diamonds are known for its excellent brilliance and sparkle. As a result, even if the diamond possesses any yellowish tints, owing to its brilliance it can be easily concealed to a great extent. So it is highly recommended that if you are planning to buy a princess cut diamond and have an intention to set it in a white gold or platinum metal, you must stick to color grades in the G-H-I range. In case you are customizing it on yellow gold metal, J or K color grade is what you should prefer. Now, in contrast to this, for radiant cut diamonds, the yellow tints are more visible than the princess cut diamonds. Therefore, for white gold or platinum settings, it is advised to use diamonds of color grade F-G-H. While for yellow gold settings, I or J shaded diamonds can be the best. These are some few criteria on the basis of which radiant cut and princess cut diamonds of Chicago can be differentiated. Additionally, if you are deciding to use such diamonds to create a stunning accessory, make sure you are well aware of the setting you actually need for the diamond. As the sharp corners of a princess cut diamond need a good mounting to protect the vulnerable ends. 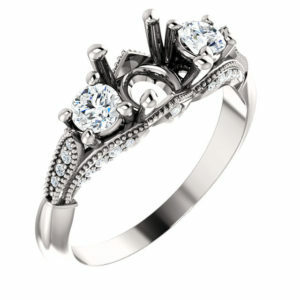 Perhaps, a setting with V-shaped prongs like Bezel settings might be a good choice for this. Radiant cut diamonds, on the other hand, can be set on any regular prongs or bezels, without any hesitation. So, which one would you like to prefer? Which one would you think will be the best gift for your valentine? 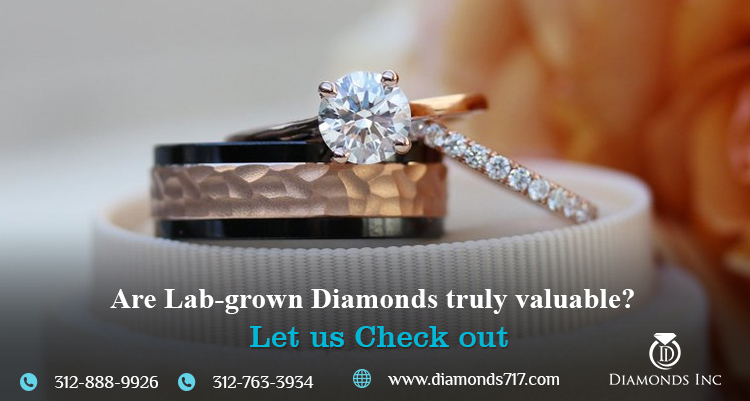 No matter which diamond you choose to create your engagement rings or wedding rings from Chicago, make sure they are neither synthetic nor duplicate. GIA certificate is the best way to examine this.